1. 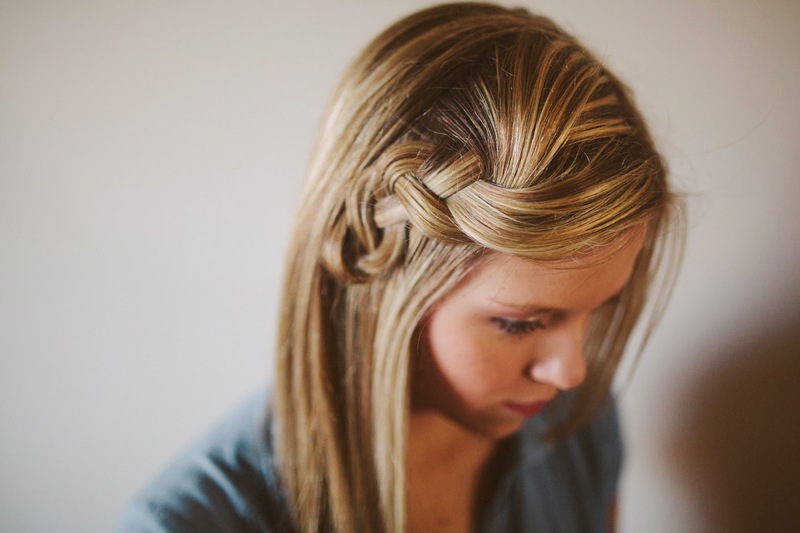 Begin by taking a section of hair near the crown of your head. 2. 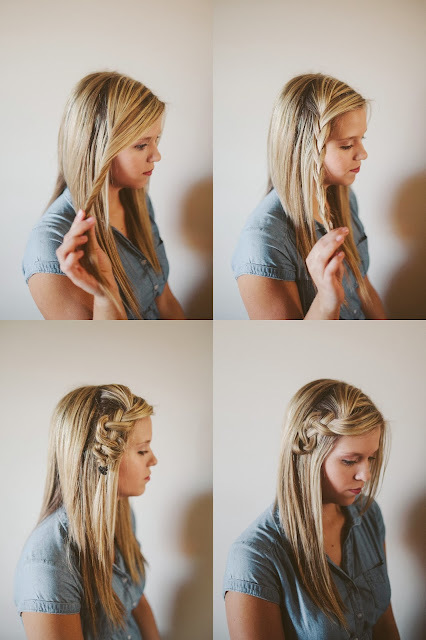 Braid this section in a loose braid. 3. 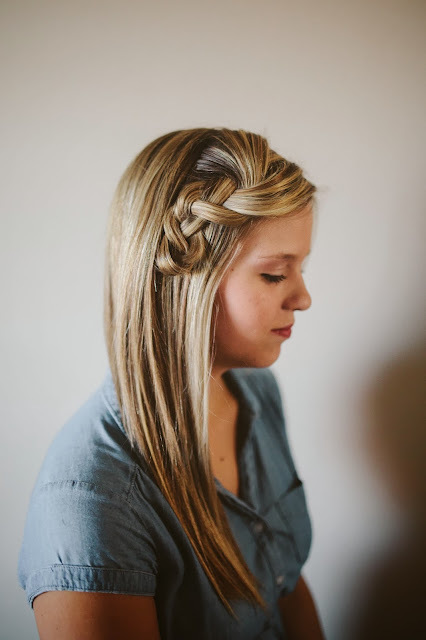 Once braided, take one of the three strands and pull it tight while pulling the other two strands upward, creating a scrunched braid. 4. Attach the end with a small hair tie and hide it behind another section of hair with bobby pins. 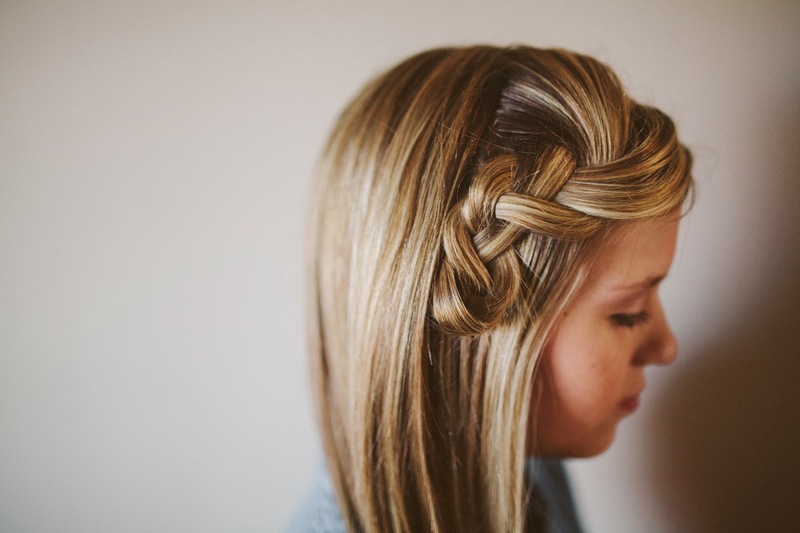 Thanks, Erica, for modeling for me! such an original idea! looks relatively easy too. I'll have to try it! 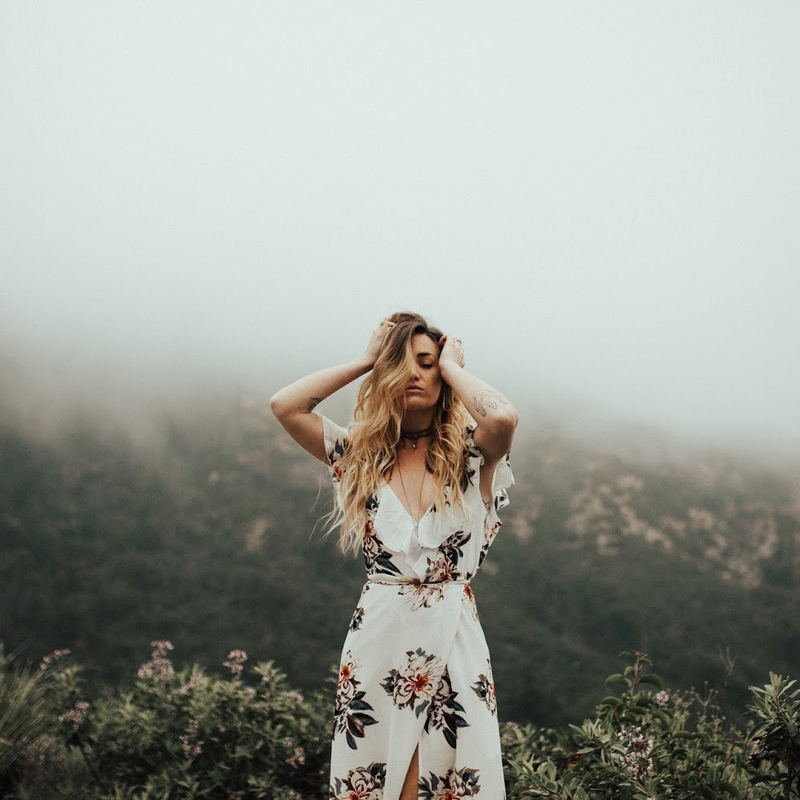 Love how this looks a bit undone and adds a nice little flair to the hair #rhymeintended ;) // thanks for sharing // lovely blog lady! Oh I love this! It is oh so beautiful! That is beautiful! I love and it will have to try it! I love this! 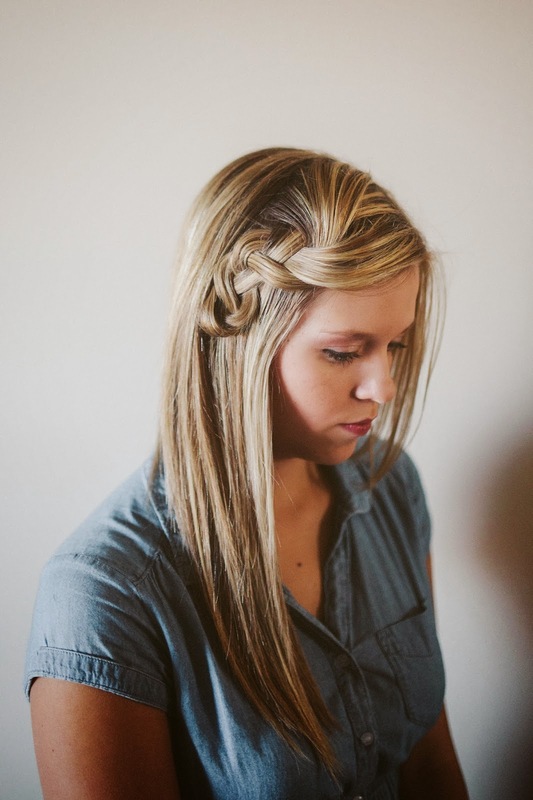 Such an easy twist to a classic braid. This braid is adorable! I'll try it for sure.